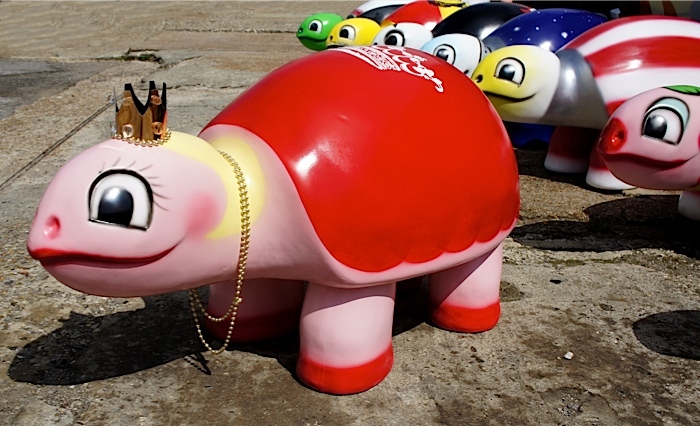 This August Lowestoft is welcoming some very cute visitors to town. 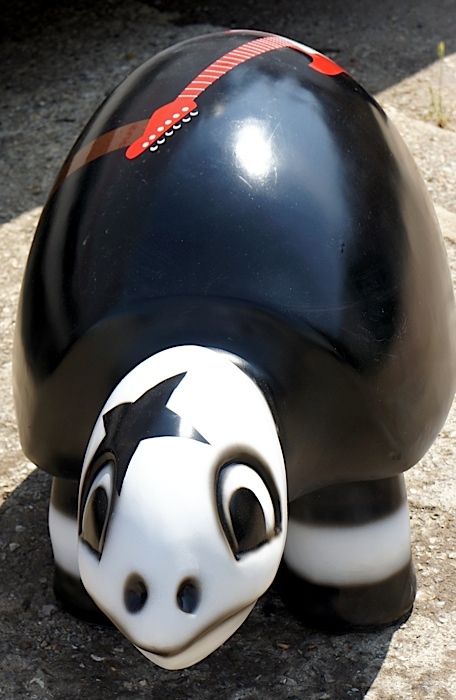 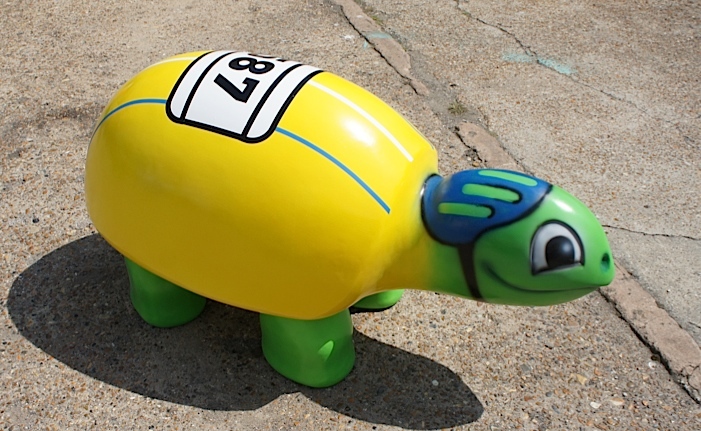 Commissioned by This is Global and taking the form of 14 fibreglass turtles, visitors to Lowestoft are invited to play detective and track the fibreglass creatures down at a variety of venues around the town. 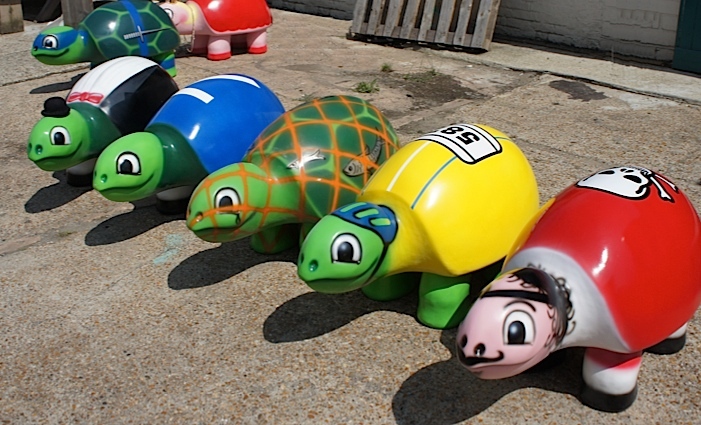 Each turtle has been individually designed to celebrate various parts of Lowestoft’s history, as well as there being a few special guests. 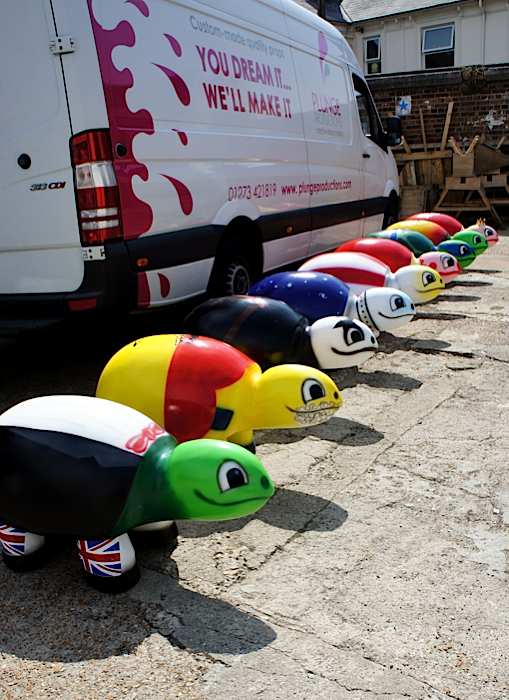 It was a great process watching the creation of the giant turtles. 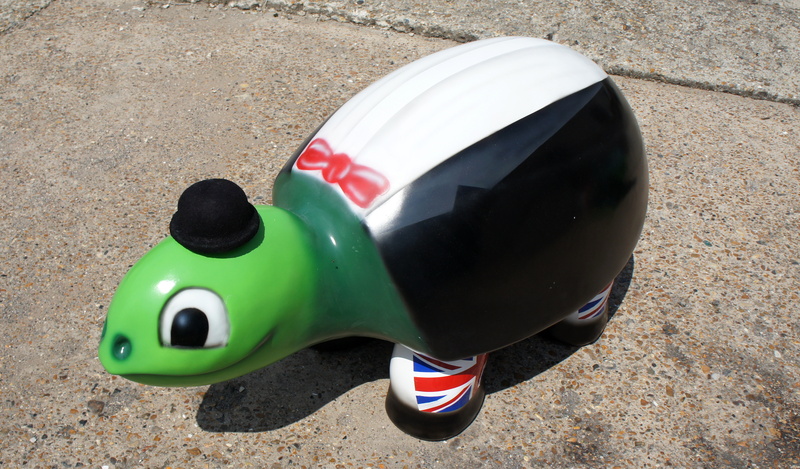 Initially, a turtle was modelled out of plasticine. 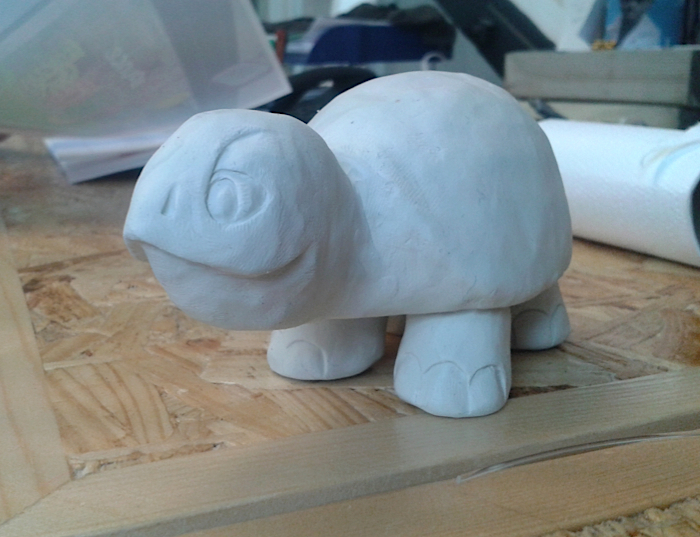 Once happy with the shape, the plasticine model was scaled up and carved out of polystyrene. 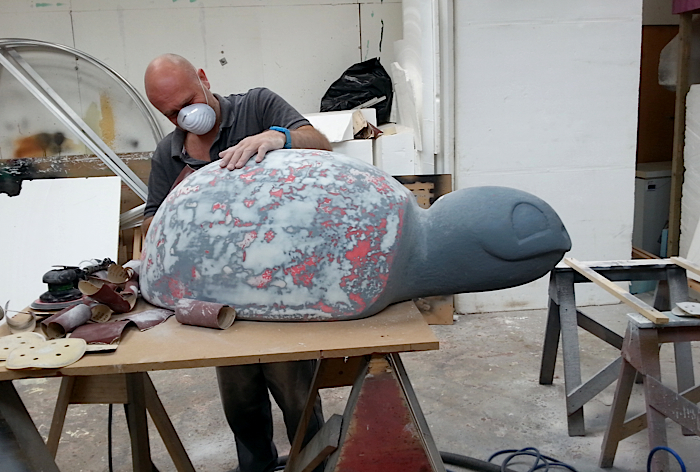 The poly carved turtle then in turn became the template used to create the mould for casting the 14 cartoon-like turtles out of fibreglass. 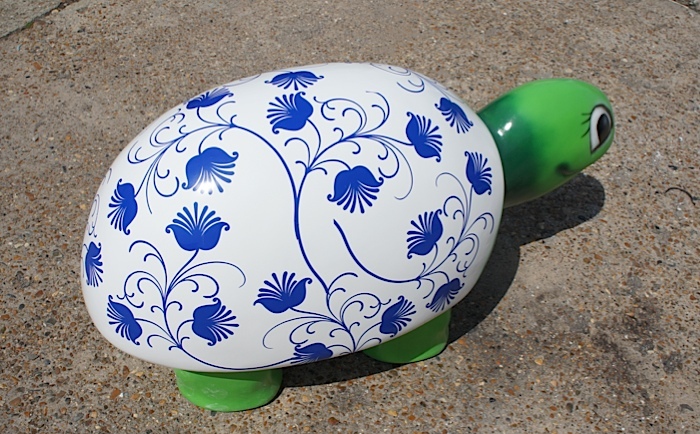 Now you may think these look more like fibreglass tortoises because they have legs but here is a little known factoid for you… it is sea water turtles that have flippers, fresh water turtles have legs. 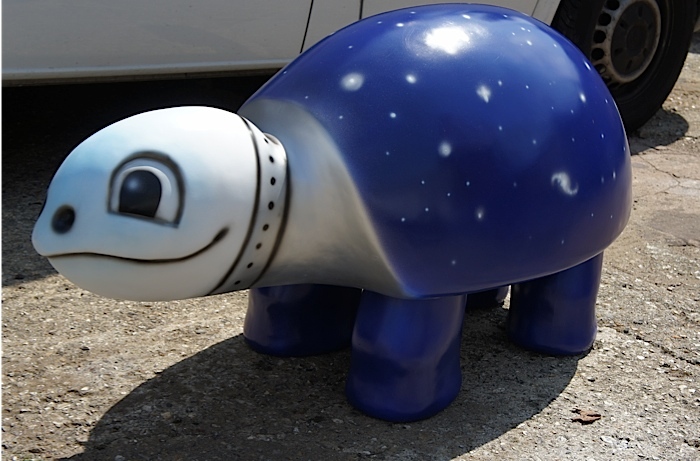 Here are some links if you’d like to read more about the giant turtle props or see more pics.